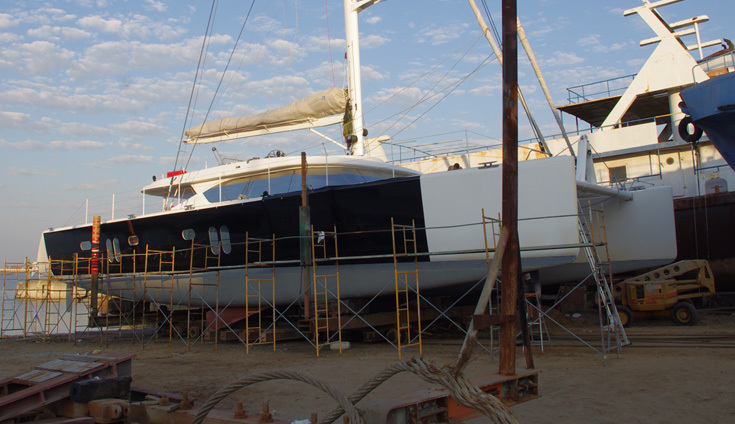 Zazou, 76 ft Catamaran has urgent facelift from tired white to glossy black. 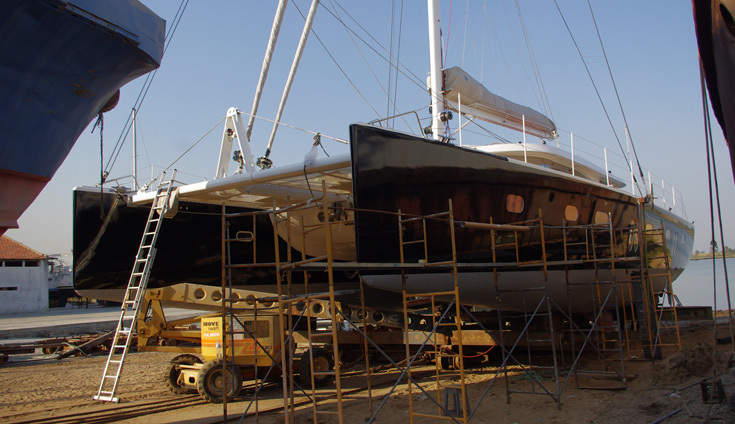 This 76-footer was in urgent need of a facelift, and a change from standard white to glossy black, but a paint job was going to cost the owner a cool £80k – The Wild Group were able to transform his boat for a third of the cost. A four-day job down in Palma, wrap, stripes and detailing. Job done. 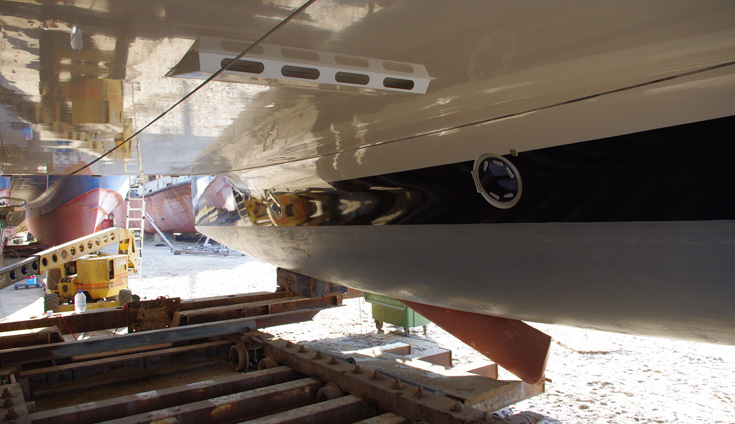 And as an added bonus, the vinyl wrap would prevent any further deterioration of the hull. Who could ask for more?